On March 7 and 8, 2015, the capital of Bavaria once again became the venue of a major numismatic event. As was to be expected, the 48th edition of the Munich NUMISMATA attracted collectors and dealers from all around the world. They witnessed a fair that was successful in every single way. For 45 years now, NUMISMATA is one of those events that are a firmly established date in the calendar of all those interested in Classical numismatics. A great many visitors were to be expected, therefore, flocking to the 48th NUMISMATA in Munich on March 7 and 8, 2015. No less than 4000 visitors came to attend this extraordinary numismatic event. The superb organization, the service tailored to the customers’ needs and the broad range of offers – everything collectors and dealers appreciate about NUMISMATA in general they likewise found in Munich. Quality was supplemented by quantity: a large offer was destined to fulfill virtually every need of the numismatic aficionado. From ancient to modern times, from Germany to New Zealand, from coins to historical security papers: the spectrum covered every area. It was completed by pre-monetary currencies, specialist literature and numismatic accessories. A professional grading service as well as advisory services relating to collecting and investing in coins addressed both dye-in-the-wool collectors and intrigued novices. A special attraction of the 48th Munich NUMISMATA was available at the booth of the Official Sales Agency for Collector’s Coins of the Federal Republic of Germany: it started the first sale of the 2015 Germany Mint State and Proof Coin Set. 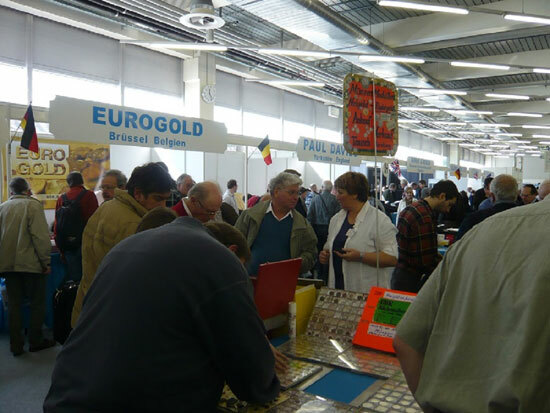 As always, many surprises awaited the visitors at the booth of the German Numismatic Trade Association. Highly popular was the “1 for 1.11 Euro” swapping event. As is tradition, there are three coins available from one of the countries that have introduced the euro at the beginning of the year. This time, the buyer purchased three mint state coins from Lithuania at a price of just one euro. 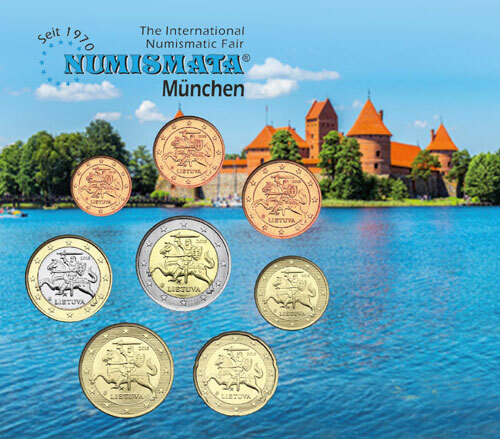 Anyone interested in acquiring a complete Lithuanian euro coin set in the exclusive NUMISMATA Blister in limited edition had the chance to do so at the NUMISMATA information desk. Another feature that likewise found a particularly positive echo was the complimentary new fair catalog. Published by NUMISMATA in co-operation with CoinsWeekly, it provided the collectors not only with a complete price guide to the historical thaler of Louis I but also with much useful and fascinating information about the numismatic world of Munich. Thus, it was hardly surprising that the 3000 copies were in high demand. The next Munich NUMISMATA is scheduled for March 5 and 6, 2016.